This agreement describes the terms and conditions applicable when using the website of mag@zine TED par Quebec Audio & Video, in the Used A/V 4 Sale section. This agreement may be modified at any time without notice. Only people with legal authority to enter into transactions may use the services of this site. Minors are not allowed to use this site. Also excluded are users whose registration have been suspended due to fraud or unauthorized use of the site. Once you have chosen your password, you must make sure you do not disclose it to anyone. Users are fully responsible for transactions made on their account using their password. You must notify us immediately of any unauthorized transaction on your account and your password. 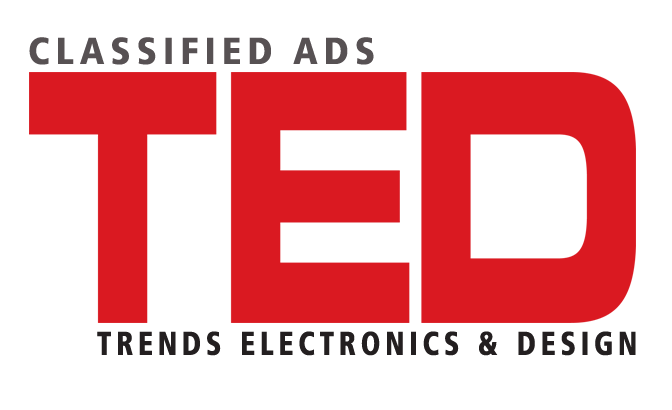 If you wish to place an ad or become a member of the mag@zine TED par Quebec Audio & Video section of the Used4Sale market section, you must first fill out a form. Note that the information given regarding the surname and first name must be real and true. Once your membership is confirmed, your account is automatically activated and you can start advertising. You will also receive a confirmation message to the email address given during the registration process. www.quebecaudio.com is a crossroads of transactions between sellers of used articles and potential buyers. It is up to the seller and the buyer to conclude the transaction together. To secure payment, www.quebecaudio.com offers a module that allows a transaction between tow parties, through the site PayPal.com. The Used4Sale market of mag@zine TED par Quebec Audio & Video is not part of this transaction, which is between the two parties. Despite our efforts to ensure the safety and integrity of our site, we make no warranty as to the quality and legality of the items advertised or the validity of their description. We cannot guarantee the legal ability of sellers and buyers to sell and buy items on this site. The sale of any stolen or counterfeit merchandise or illegal items, contrary to morality is prohibited on this site. Controlled items, such as prescription drugs, are also prohibited. It is forbidden to sell articles that infringe copyrights, patents, trade secret or any other proprietary right held by third parties. www.quebecaudio.com reserves the right to remove from the site images illustration any of the aforementioned items, as well as images with obscene, immoral or offensive content. The site of mag@zine TED par Québec Audio & Video currently has no specific category intended to receive ads of products or services related to Adult Entertainment. We prefer to reject ads that meet this criterium and suggest the use of specialized sites for this purpose. It is prohibited to promote a site whose activities compete with ours such as a competing classified ad section or an auction site. Following a complaint or a random examination, www.quebecaudio.com reserves the right to remove ads or images that do not comply with the law or the site’s regulations. The presence of logos is prohibited to advertise your article. If you wish to advertise with your logo, you can contact the advertising department at info@quebecaudio.com to find out about the terms and conditions. It ist possible for retailers to use this site for article marketing. Retailers who use this site must comply with commercial practices and the Consumer Protection Act, particularly with regard to warranties and the obligation to advertise as a store/retailer. You are responsible for the content you declare on this site, which at no time must be illegal, false, inaccurate, misleading or immoral. You also have the responsibility to update the personal information you provided when registering as a member. The user acknowledges that the information he discloses electronically is not confidential or proprietary and does not affect the rights of any person or entity. While we make every effort to maintain the integrity of our site, we do not have absolute control over the information provided by the user members. You may be exposed to content that is offensive, harmful or incorrect. There are also risks of transactions with minors, people with false identities or foreign nationals. 5 – include an exaggerated use of keywords in the ad. Trademarks or other keywords that do not describe the article you advertise are therefore prohibited. Members who use the keywords in an abusive manner may have their ad removed and their membership suspended without notice. 6 – Broadcast the same ad in different categories that do not comply with the advertised article or service. The user must choose the most appropriate category for his article or service. 4 – If, in our opinion, the behaviour of a user compromises the integrity of our site. www.quebecaudio.com offers its services as is without any warranty or condition, express or implied. The user acknowledges that www.quebecaudiocom does not carry out any preliminary survey of the members as to their legal status or ability to pay and to fulfill their commitments. We are not responsible for the title, the commercial value and the relevance of an article for a particular purpose, and the absence of infringement of the rights of third parties. Given the factors that may affect the operation of this site, www.quebecaudio.com cannot guarantee the continuous uninterrupted and secure access to its services. Under no circumstances will www.quebecaudio.com, its affiliates, directors, employees or representatives be held liable for any damages or claims arising from the use of this site. The Member agrees to hold www.quebecaudio.com, its affiliates, directors, employees and representatives unscathed against all claims, claims and direct and indirect damages of any kind, known and unknown, arising in any way from any transaction between buyers and sellers on this Site or any use of this Site. The logos, trademarks and other intellectual property displayed on our site (collectively, the “Trademarks”) are trademarks, registered or not, of www.quebecaudio.com or of third parties belonging to their respective owners and which can not be used without the written permission of www.quebecaudio.com or their respective owner. We may make our subscriber list available to businesses or organizations that offer products or services that may be of interest to you. Any dispute related to this agreement that can not result in an agreement between the parties will be submitted to arbitration in accordance with the provisions of the Code of Civil Procedure for the Province of Quebec (Canada).